Britain’s agricultural sector has made great strides in recent years to shrug off its reputation as being male-dominated and attract the best and brightest female talent. But while more and more women are enjoying careers in agriculture, there is still a long way to go until they are proportionately represented in the upper echelons of businesses in the food and farming sector. The latest research from Deloitte shows only 15 per cent of board seats are taken up by women worldwide, with just four per cent in the chief executive and top leadership roles. Caroline Drummond, chief executive of Linking Environment and Farming (Leaf), says it is an issue not just confined to agriculture. “There is a very strong representation of women in our sector and that has grown substantially over the last 10 to 15 years,” says Mrs Drummond, highlighting the fact many agricultural businesses are reliant on women, especially family farms. “This includes women in senior roles as well and I look at Teresa Wickham, non-executive director of New Covent Garden Authority; Minette Batters, NFU president; Marian Spain, Natural England chief executive and Christine Tacon, Groceries Code Adjudicator. Work is already underway to turn around this trend and companies are scrutinising their structures to ensure they have a full breadth of diversity within them. “I think governance has changed and we are seeing companies and charities such as ours be more robust in their approach,” says Ms Drummond. She described the issue as a ‘slow burn’, highlighting that the large number of men at senior level was ‘partly down to tradition’. “In some very large businesses some women are passed over because of the perception that they might be having children and of course that is all unsaid. But if you demonstrate and prove yourself and are committed and are driven by your personal priorities there is no reason you cannot move forwards,” adds Ms Drummond. In her own organisation, she says that while there are no specific targets for including women at the top, Leaf has identified a number of skillsets that are required to drive the business forward. With companies coming under increased pressure in terms of the skills they are required to demonstrate, women could grasp these new opportunities. Ms Drummond identified key areas including finance, legal, corporate social responsibility, human resources, technology and research where women often excelled. “Men and women have different skills and we shouldn’t be ashamed of that. As an organisation, if you all had the same skillset you may not move forward,” she adds. 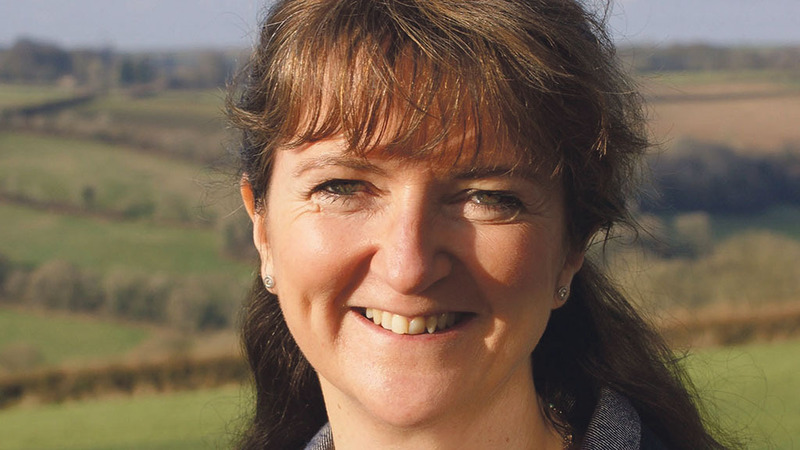 It is this new blood which will be essential for agriculture in the future and Ms Drummond believes the industry must work harder if it is to attract and retain the talent needed to achieve its key aims. “Every industry - not just farming and food - has got a problem with succession and bringing in new skills so we have to be really smart as to how we drive that going forwards,” she adds. Ms Drummond was speaking ahead of today’s launch (March 8) of FG’s parent company AgriBriefing’s new Women in Food and Agriculture campaign, which aims to shine a light on the women working around the world in all segments of the food supply chain. The initiative, launched to coincide with International Women’s Day, will culminate in a year-end summit which will connect, empower and enlighten women and men in all aspects of agribusiness. It will take place in Amsterdam on December 3-4. For more on the conference click here.